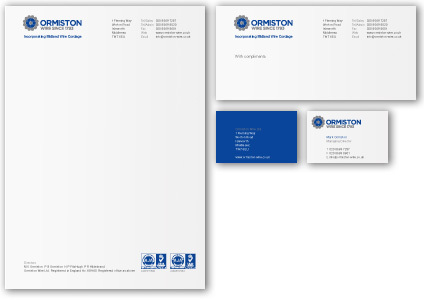 We have recently finished the first stage of a branding project for specialist wire suppliers Ormiston Wire. To coincide with the merger of Ormiston and their sister company Midland Wire Cordage, a new corporate identity has been created. The identity is inspired by the cross-sectional view across a wire cable. Wires of differing diameters are braided together in a set pattern to form stronger wire cables. As a company with a substantial environmental policy, including a Queen’s Award for Sustainable Development, the logo also has a dual meaning, referencing the shape of a flower. 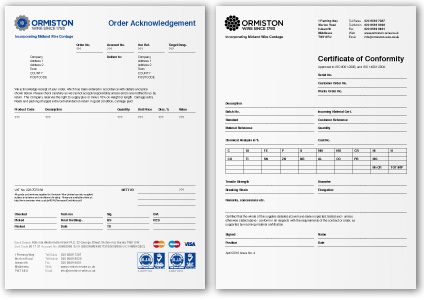 One of the challenges of the project is standardising the large number of documents, templates and catalogues Ormiston currently has, all using different design styles, colours and logos. Bringing consistency to all these materials will be beneficial in clarifying Ormiston’s communications. We are now working on the application of the identity across the full range of Ormiston’s applications and materials, and the development of a new company website.